Enjoy the unspoiled beauty of tropical island paradises! Stunningly beautiful, the Seychelles are just as popular for water sports and colorful underwater worlds as they are for relaxation and wellness. With soft white sand under your feet and the azure ocean before you, enjoy secluded, romantic getaways and glorious pampering in luxurious resorts. 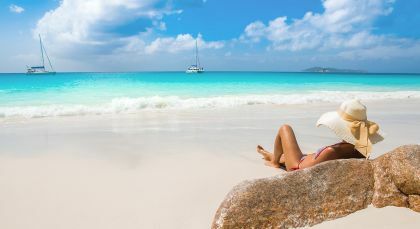 Visit the largest island in Seychelles! 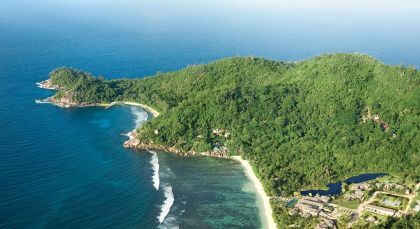 Mahe, in the northeast of the nation, houses most of the Seychelles population and charms you with its grandiose landscapes and lush vegetation. A forgotten paradise! 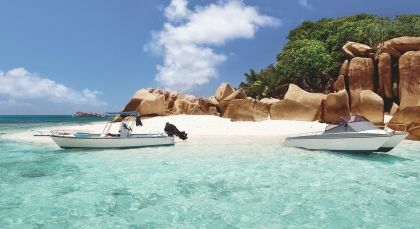 La Digue, the fourth-largest island in the Seychelles, has been a well-kept secret for years! Known for some of the most beautiful beaches and bays in the world, La Digue has won several accolades and awards. Welcome to a UNESCO World Heritage Site full of ancient palm forests.